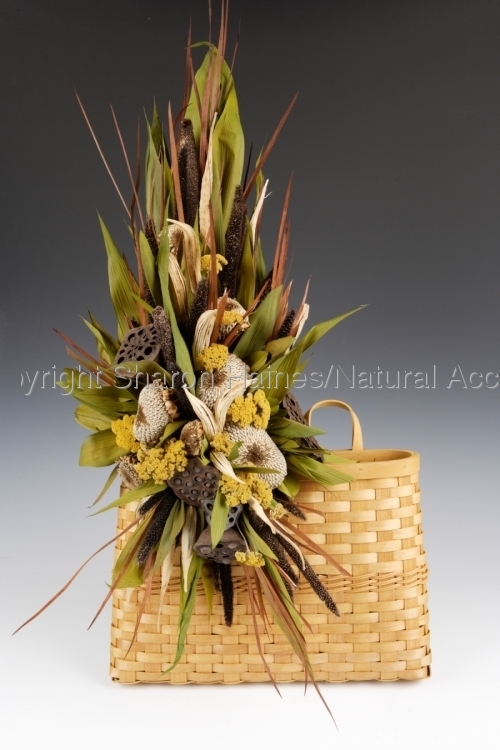 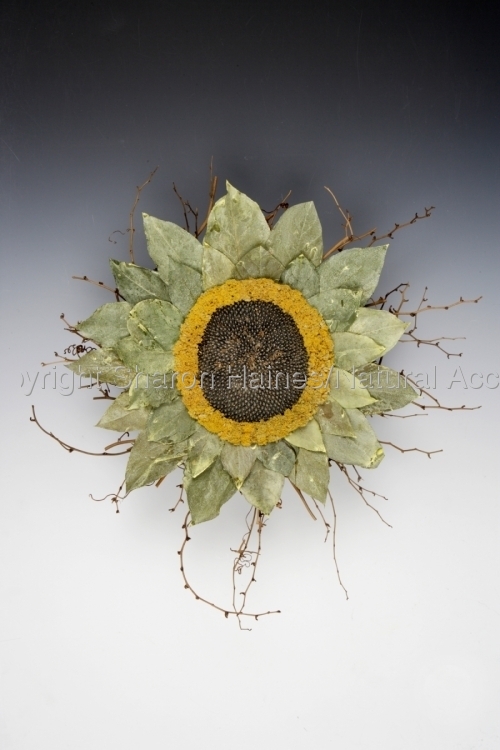 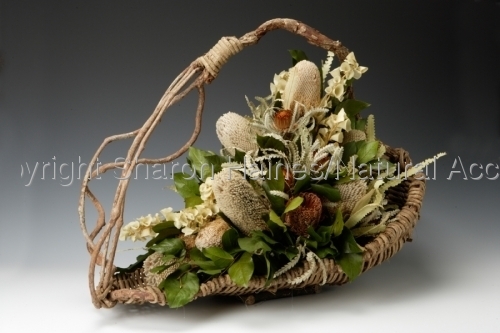 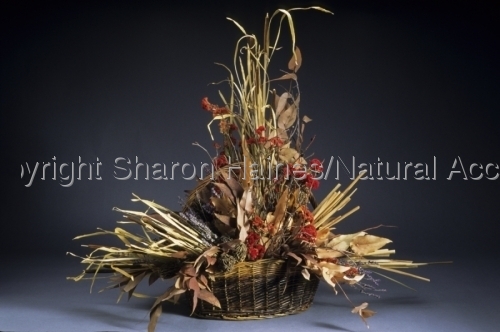 This rustic looking basket is made of thin slats of bark. 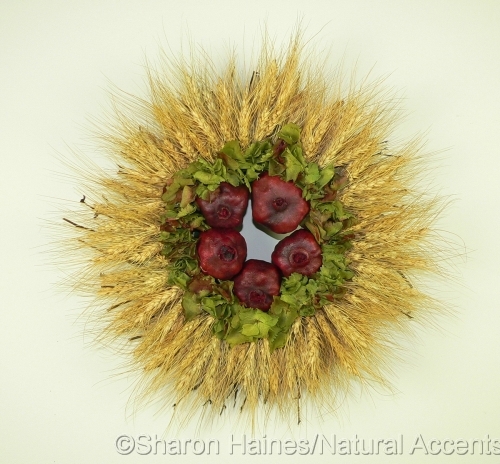 It is filled with an elegant topiary of bearded wheat from my gardens. 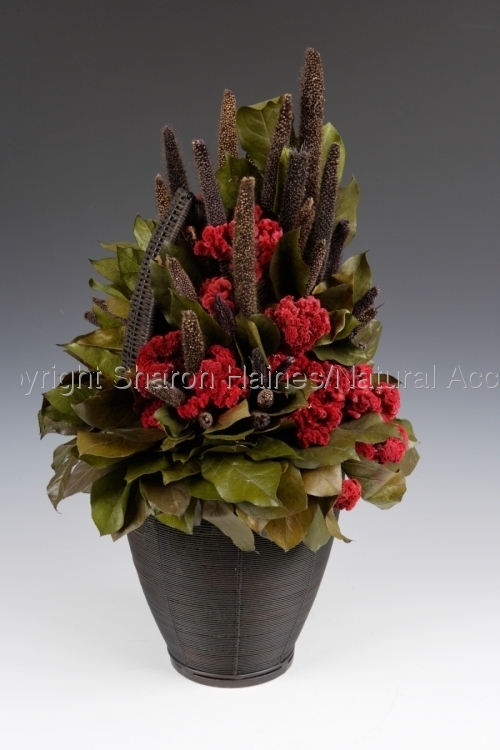 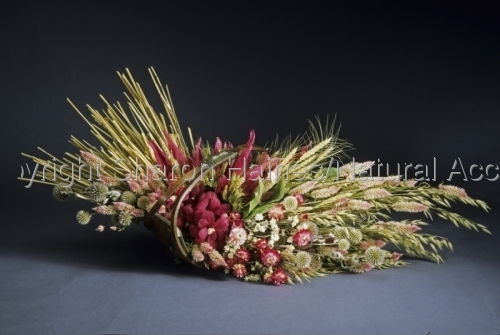 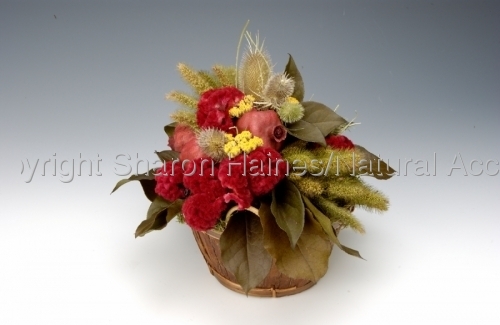 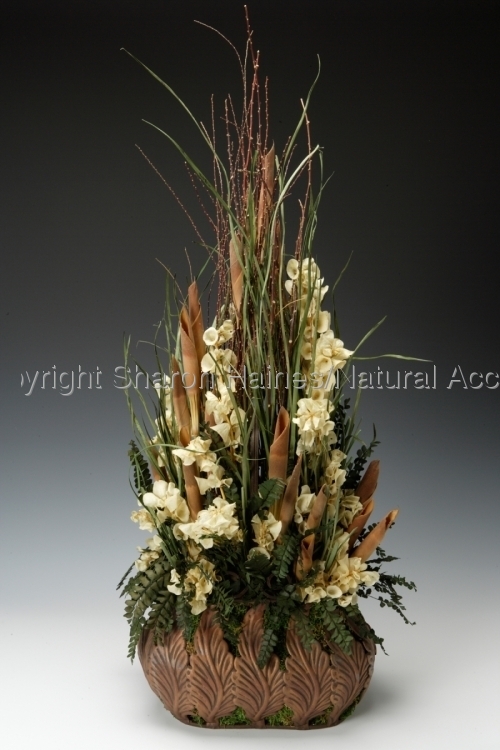 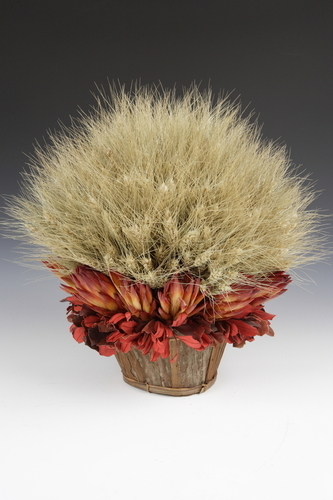 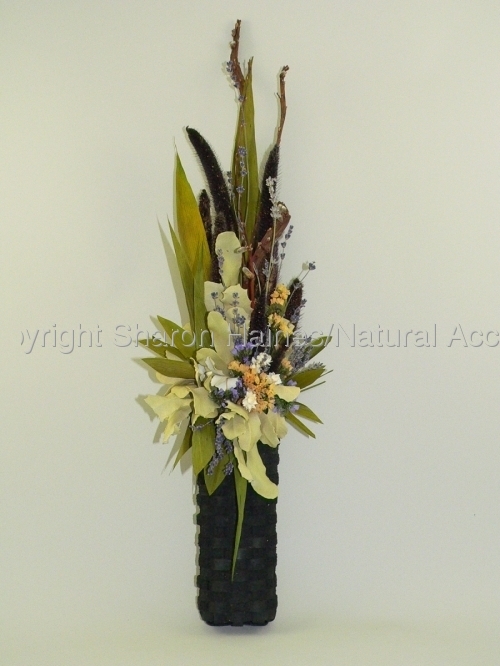 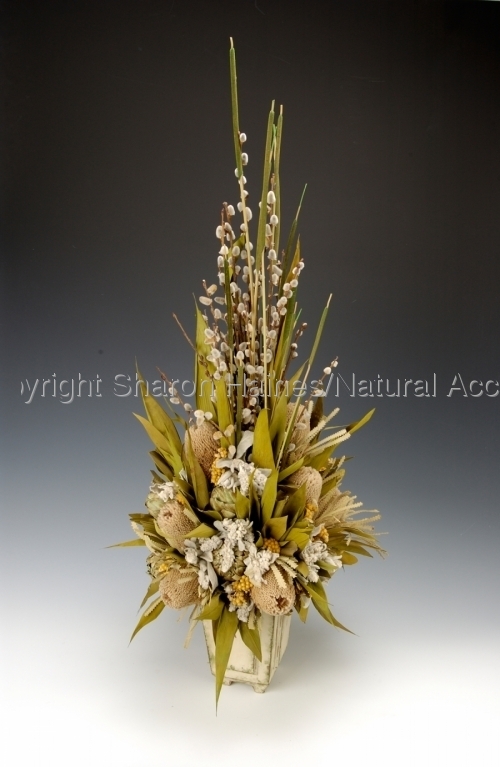 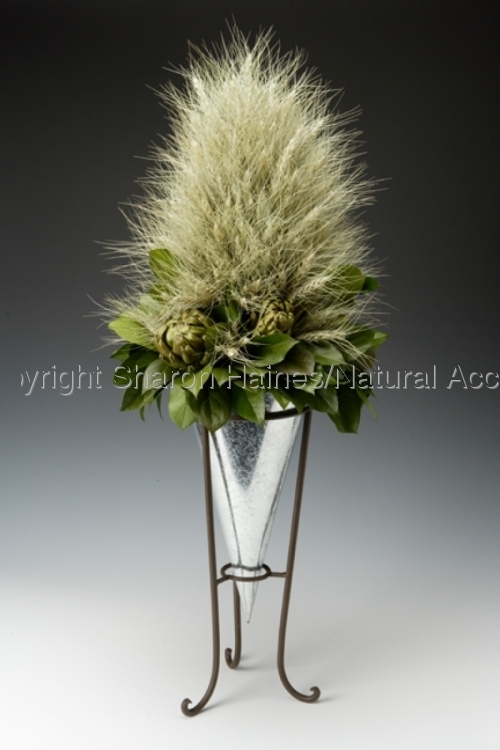 The wheat "puff ball"is surrounded with red protea Replens and red Integrifolia.